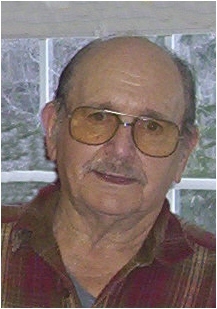 Mr. Chesley Woodrow Mayse, 88, of Morehead, passed away Sunday, February 10, 2019 in the King’s Daughters Medical Center in Ashland. He was born on March 26, 1930 in Elliott County, Kentucky, a son of the late Edd and Elsie Winkleman Mays. Mr. Mayse was a hard worker who always provided for his family. During his lifetime, he worked many jobs. He was a carpenter, farmer, construction worker, logger, store keeper and state worker. But most of all, he was the best husband and father anyone could have. He was a Kentucky Colonel and a member of the United Brotherhood of Carpenters and Joiners of America. Mr. Mayse was of the Baptist faith and he enjoyed fishing and watching westerns on television. In addition to his parents, he was preceded in death by his wife, Betty Lou Mayse, who passed away on December 10, 1989, special friend, Katie Cooper, one sister, Edna Boggs and two brothers, James Mays and Edward Mays Jr. Survivors include three sons, Daniel L. Mayse (Sherry) of Morehead, Dennis Mayse of Lexington and John Mayse (Myra) of Morehead, four sisters, Verna Sloan, Darlene Mynhier (Bob) and Lois Barker all of Morehead and Faye Linville (Arvis) of Dayton, Ohio, two sisters-in-law, Nettie Mays and Molly Mays both of Ohio, four grandchildren, Doug Mayse, Zachary Mayse, Christopher Mayse and Chelsea Mayse and several nieces and nephews. Funeral services will be conducted at 2:00 P.M. Wednesday, February 13, 2019 in the chapel of the Michael R. Gray Funeral Home in Morehead with Pastor Harley Sexton, Jr. officiating. Visitation is from 5:00 P.M. to 8:00 P.M. on Tuesday at the funeral home. Pallbearers will be Trey Davidson, Devin Davidson, Zackary Mayse, Doug Mayse, Kellen Davidson, Dakota Barker, Michael Mayse and Bradley Mynhier.